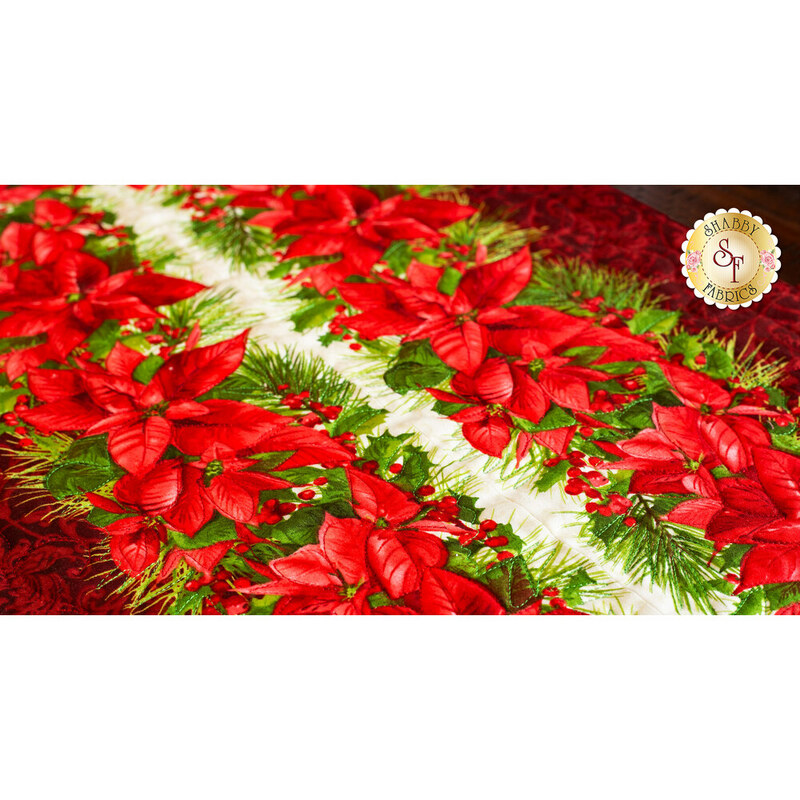 Add the perfect touch to your Christmas table setting with this elegant table runner from the Poinsettia & Pine collection. The sophisticated red, green, and cream holiday florals will impress your guests. This runner will dress up any space and looks complicated but is fast and easy to make. 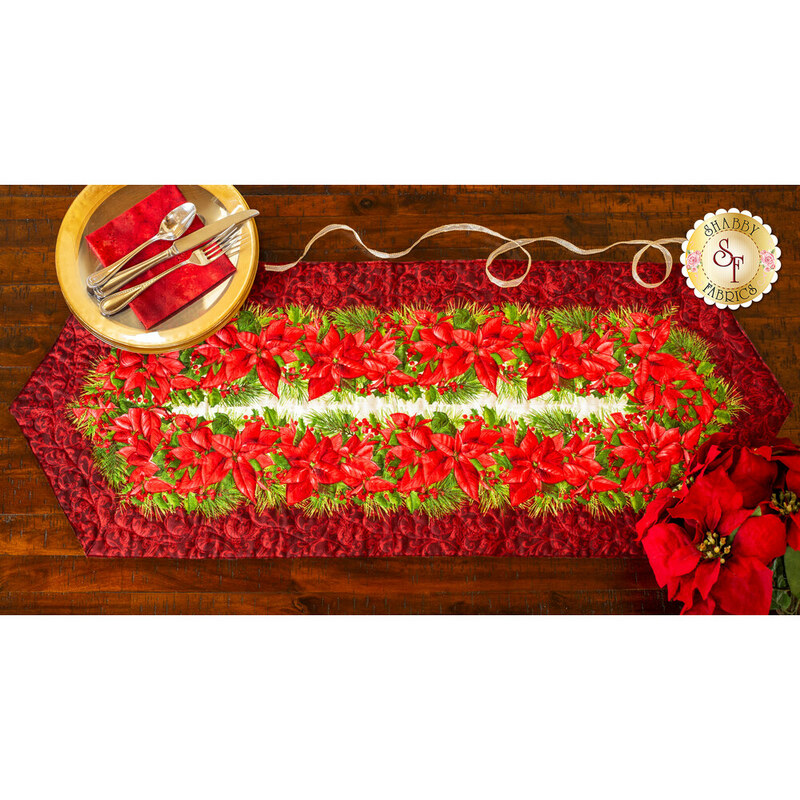 This table runner measures approximately 16" x 45".